Spring break is over, and for you, an adult, that means one thing: It's safe to leave the house. You weren't going to be doing beer bongs at Señor Frog's anyway, but do some quick math and you'll realize that we're in that glorious hammock season when the college and high school kids are all fruitfully occupied with finals and/or general end-of-term horniness, whereas you -- with some vacations days banked -- can take advantage of unique deals and cool domestic springtime experiences before the summer crowds get too bonkers. 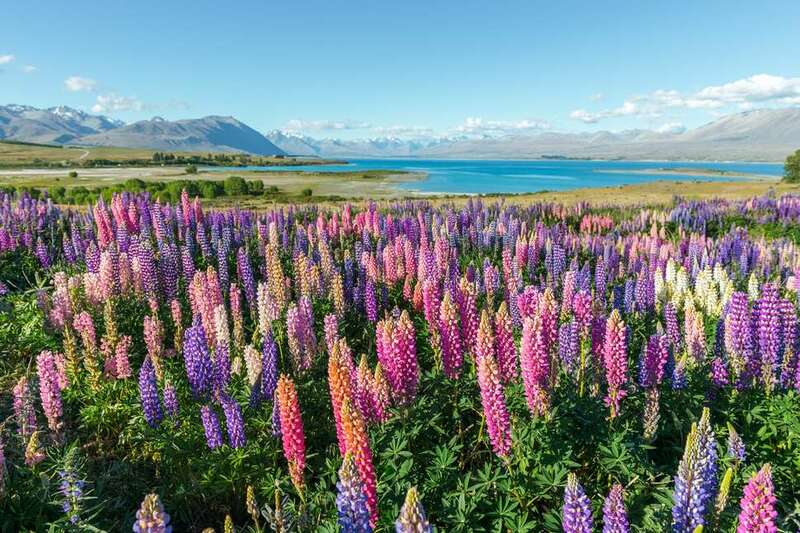 Here, we've scouted out some of the best places to enjoy the outdoors this spring, whether you’re looking to get your dose of wildflowers, scope out some hawks, or gaze upon the northern lights in the relative comfort of non-winter temps. You know this Inland Empire valley for its eponymous music festival, but it actually makes for a chill visit any time of year -- particularly in spring, when the flowers are blowing up and the weather hasn't turned into a dry-heat triple digits. 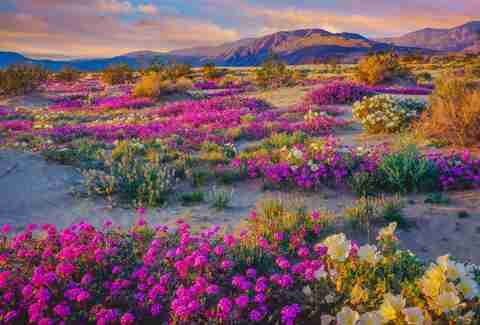 Southern California’s Anza-Borrego Desert State Park -- the biggest park in the state -- is once again celebrating a spring "superbloom" of wildflowers this year, so get you some of that. Not to be overlooked are the oddball artist colony of Slab City, the eerily beautiful Salton Sea, and the burgeoning "desert rock" scene around the Queens of the Stone Age studio Rancho de la Luna, near Joshua Tree. The region is also home to Palm Springs and one of America's best nudist resorts, if that's your thing. Part hot springs, part resort, part unincorporated community, part alternative-energy research center, Chena Hot Springs -- about 50 miles north of Fairbanks -- is a go-to spot for soaking your tired bones in a natural outdoor hot springs rock lake. 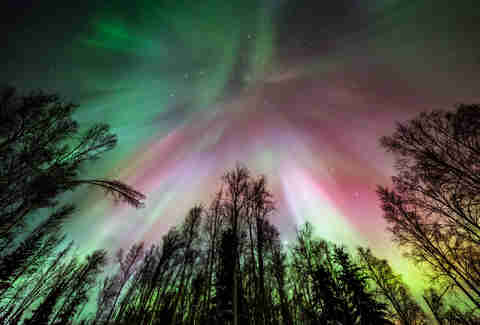 While resting in the healing waters and shake off the last bit of winter, look up and you’ll be able to enjoy an early spring northern lights display. Be sure to indulge in scenic nature flights over the surrounding glaciers before heading back to the resort to sip drinks in hand-carved ice glasses at the onsite Aurora Ice Bar, located within the year-round Aurora Ice Museum. The area's spectacular spring northern lights shows are best viewed between 10pm and 3am, so you might want to keep that ice drink handy. As much as America likes to josh Florida (there's endless material to work with), it's hard to deny the state’s easy accessibility to sun and beach when you just want to get the hell out of Dodge. With its annual Ultra Music Festival madness, you might have Miami in mind for a spring trip. 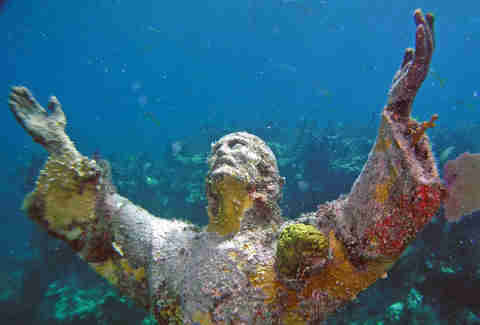 But for a more chilled out escape, Key Largo offers a funky taste of old Florida without the relentless untz untz untz of South Beach. The largest island in the Florida Keys features the beautiful and always-happening Playa Largo Resort, the first full-service resort built in Key Largo in more than 20 years, featuring private bungalows and a two-story beach house. This is where to loll before June wakes up the subtropical humidity (and kicks off hurricane season). 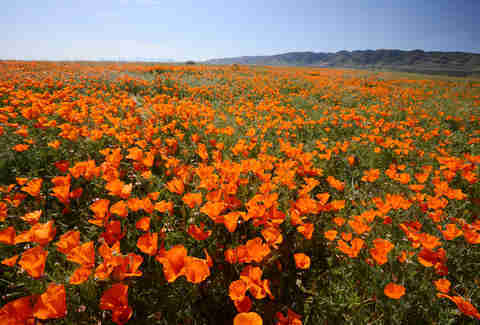 Just as eye-popping a SoCal springtime flower destination is the Antelope Valley California Poppy Reserve, about 80 miles north of LA near the town of Lancaster. Picture expanses of brilliant color -- even in down years -- exploding out of the parched desert, thanks to that, winter deluges. Sandwiched between the Tehachapi and snow-capped San Gabriel Mountains at the western edge of the Mojave Desert, the stunning vistas can be taken in via eight miles of dirt trail that wind through gentle rolling hills. No matter how tempting, do not go frolic in them Wizard of Oz-style… unless your spring travel plans also include a trip to the ER to treat rattlesnake bites. The poppies enter their full bloom at the end of March and will be best viewed through the first half of May. And stay on the damn trails if you go! Appreciate the pretty flowers, but don’t ruin them for the rest of us. 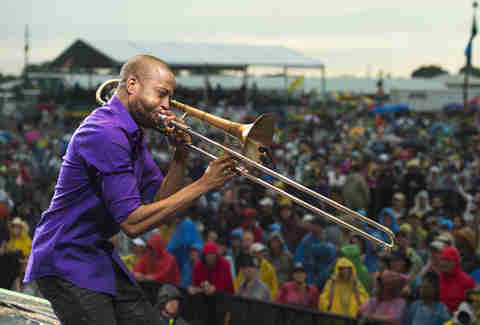 Argue if you must, but the New Orleans Jazz & Heritage Fest (April 25-May 5) is America's best music festival, in America's best city to visit, at its best time of year. Yet the always-eclectic lineup of this long-running 10-day spring throwdown -- this year featuring dozens of artists including Ciara, Alanis Morissette, and Earth, Wind & Fire -- still can't compete with NOLA itself. With daytime sets taking place under the glorious sun at the New Orleans Fair Grounds, the real action is at the afterparties that fill mid-size venues like Tipitina's and quintessential dives like The Maple Leaf. A stopover at Commander's Palace or Jacques-Imo's for dinner is never a bad idea, but you haven't experienced the city until you've stumbled out of Snake and Jake's at 7am with a to-go cup in hand. Check out Thrillist’s Ultimate Guide to visiting New Orleans here. 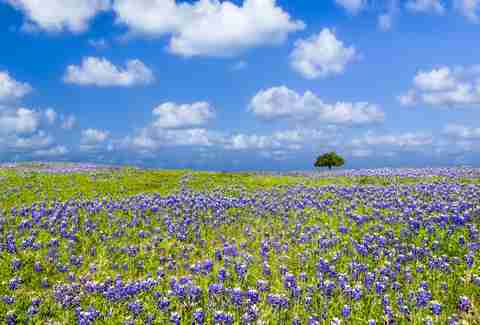 In the vast expanse of "real Texas" extending west from Austin and north from San Antonio, the rolling terrain of Texas Hill Country truly pops in spring when the bluebonnets come into full bloom. Peep the bright blues, whites, yellows, and purples sprouting up from the grassy hills along endless miles of two-lane Texas tarmac, passing through dusty old cowboy towns with scenic caverns, rivers, and swimming holes up along the way. Muleshoe Bend Recreation Area is a prime spot for bluebonnet peeping, or you can pair your flower-gazing with a glass of vino on a Wine & Wildflower winery tour between March 29 and April 14 (tickets start at $45). Either way, be sure to stop in Llano for some Cooper's BBQ along the way if you know what's good for you. 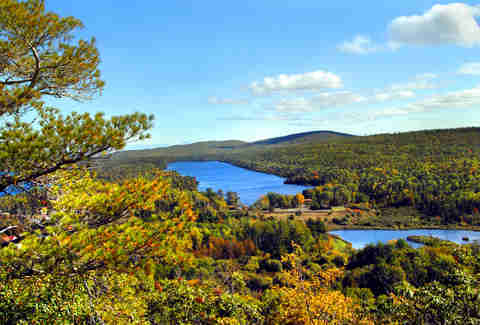 If your idea of a crazy spring break involves observing migrating hawks on a remote stretch of mountain road at the northern tip of Michigan's Upper Peninsula, Brockway Mountain Drive is calling your name. Running along the ridge of Brockway Mountain, with panoramic views of Lake Superior extending all the way to Isle Royale National Park on a clear day, this scenic road is shut in winter but comes roaring back to life in the spring for bird migratory season. The area also boasts its fair share of spring wildflowers as well, with over 700 species, including rarities found nowhere else in the state. Stargazing and getting away from it all are key activities here, with the biggest town along the road being the bustling metropolis of Eagle Harbor (pop. 76). 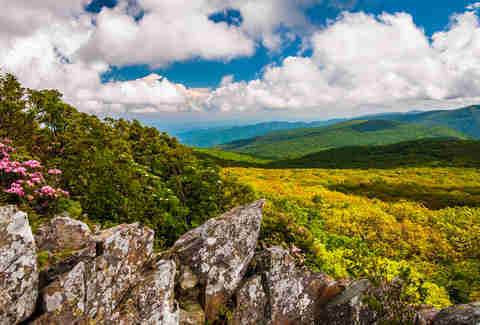 After Washington, DC's famed cherry blossoms have already peaked, you can still get your flower fix in the DC area with a trip to Northern Virginia's stunning Shenandoah National Park, with its 850 species of wildflowers. While the park nestled in the Blue Ridge Mountains is most famous for its spectacular fall foliage, its fantastic springtime displays have flown more under the radar. The park hosts a "wildflower weekend" May 11-12 with guided hikes to some of its best flower-spotting sites. You can also take in the scene by driving the picturesque 105-mile Skyline Drive, but the best part about this park may be its close proximity to the town of Charlottesville -- home to University of Virginia and a punching-seriously-above-its weight food and drink scene. Hell, you might just come to this gorgeous town as a base to explore the park and decide to just stay here instead. Which would be quite alright too. 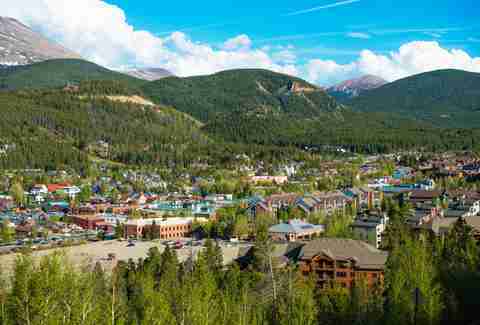 Long known as one of the best, most charming small towns to visit in Colorado, and one of the best Denver getaways, Breckenridge is famous for skiing but is also delightful at any time of year -- especially spring, when lodging is at its cheapest. This year, ski season at Breckenridge has been extended, with some trails remaining open all the way through Memorial Day. Don’t miss Breck Pride Week from April 3-7 and the Breck Spring Beer Festival on April 6. Plus you can check out live music in the historic Downtown, head out to Boreas Pass for panoramic mountain vistas over the water, or take a short trip to visit the funky nearby towns of Alma and Dillon. 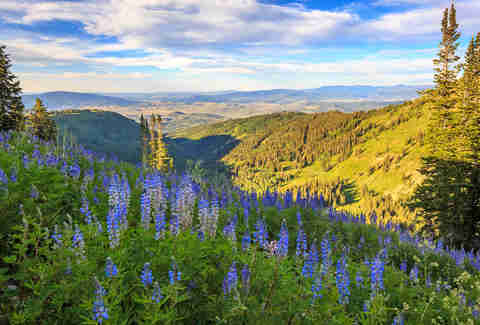 Spring shoulder-season deals make this time of year the cheapest to visit Utah's most well-known resort town. While it has a reputation for celebrity sightings during Sundance, in spring, it's just another laid-back mountain town up for pretty much anything. Strolling or riding the free trolley down its picturesque Main St. is a must, and there is perhaps no finer activity than basking in the spring sun over a few pints of craft beer on the rooftop of local hangout No Name Saloon. Nearby Salt Lake City is one of the most underrated (and cheap) destinations in America, while the surrounding Wasatch Mountains are as good a place as any to lose yourself in nature. Spring in Santa Fe is the time to celebrate all of life’s nice things. April 20-21 sees the return of an outdoor weekend market where you can browse -- and buy -- the work of local artists. Can’t take your vacation quite yet? 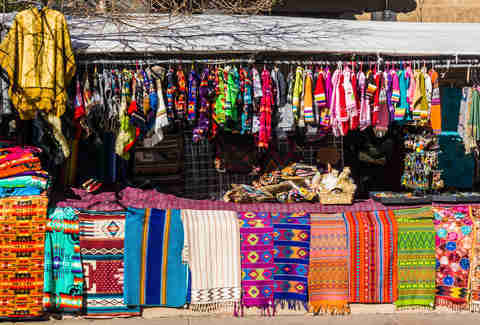 Catch vendors from the Northern New Mexico Fine Arts & Crafts Guild on May 25-27. And from May 31 through June 2, it’s time for the New Mexico Cocktails & Culture Culinary Festival (tickets start at $30). And to say goodbye to winter in the very best way, close out the ski season on April 13 with Slush Cup, Ski Santa Fe’s waterskiing/boarding competition. Those who do not care to get wet (slushed?) can still enjoy the live music.